Although Christmas may have come and gone, I know that the cold winter is only half way over. During this time of year, I love cooking warm filling meals that make tasty leftovers and can come together easily. This creamy beef stroganoff meets all these needs and more. Two things I love about this particular recipe is that it doesn’t contain any canned soups and that I can omit the mushrooms without compromising the delicious flavor. While other recipes with heavy cream are delicious and a favorite of ours too, this one is lighter on the fat while still tasting like it came from a restaurant. 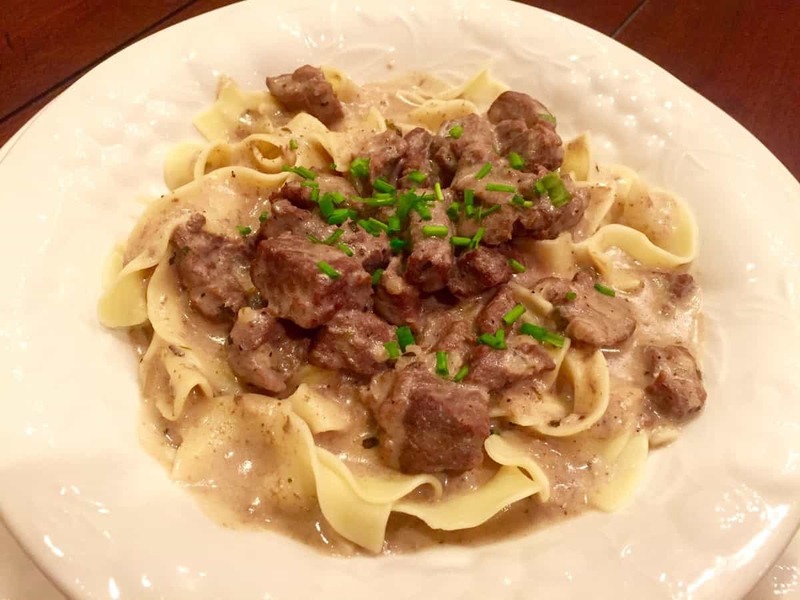 This beef stroganoff is made from an inexpensive beef roast that I cut into small pieces and then seared in a hot pan with some oil olive and a bit of butter. After being seasoned, a simple yet addictive savory gravy is created and becomes the perfect companion to the warm, soft egg noodles. I’ve used Wondra flour which is an instant flour that has less protein in it, allowing you to dissolve it more quickly in liquid and thereby creating a silkier and smoother gravy without the long cooking times required with regular all-purpose flour. Paired with a vegetable side dish, this makes for a very satisfying meal for all ages and a great go-to recipe for cooks of all calibers. In a hot pan, drizzle about a tablespoon of olive oil and add the cut beef. 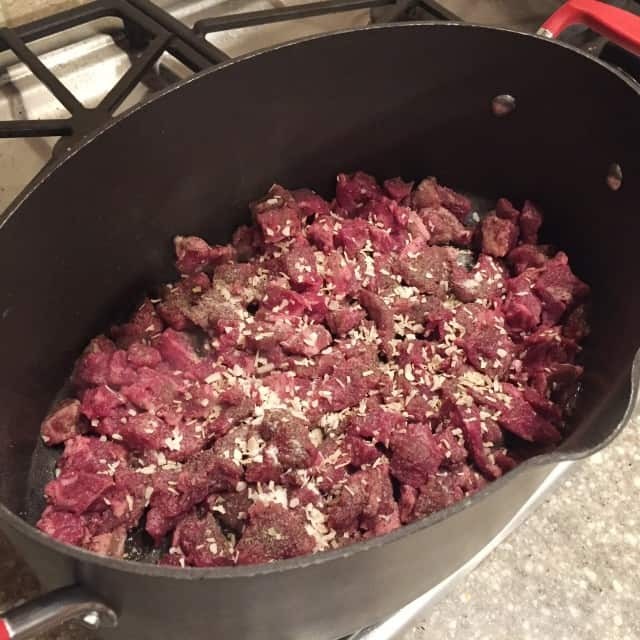 As it sizzles and browns, add in the spices of garlic salt, salt, pepper, minced onion and oregano and allow to cook for several minutes until no longer pink. Add the mushrooms, if you are using them, and stir around until they become slightly browned and aromatic. 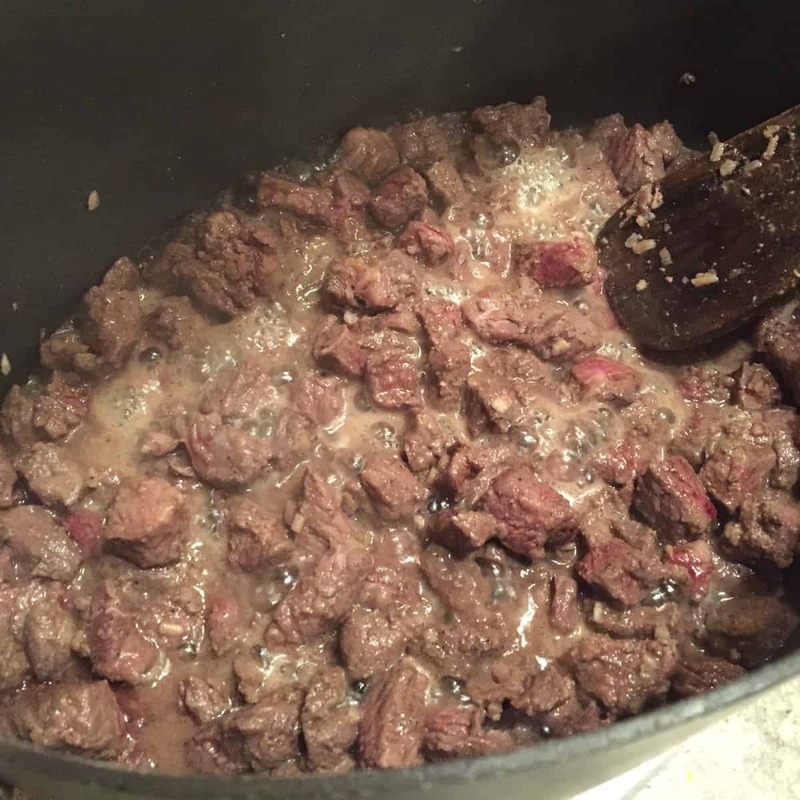 Pour in the three cups of beef broth and have it come to a simmering boil. Sprinkle in the flour and whisk it into the broth so that it can begin to create a gravy. You will want to let this simmer in the pot for about 10 minutes until the gravy thickens to the consistency you like. Remember to stir often. Add in the chunks of cream cheese so that they melt into the gravy and create a creamy sauce that now has a bit of tartness. 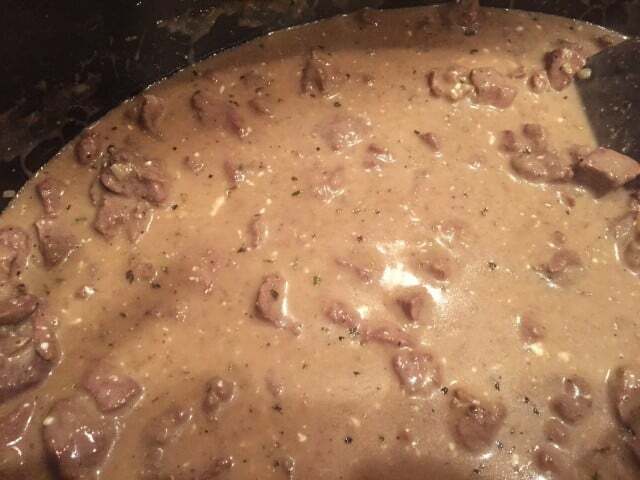 Turn off the heat and add in the sour cream that helps round out that salty and savory beef and complete the party in your mouth. Check to see if you need any more seasoning and then pour over freshly cooked and drained egg noodles for a easy meal that the whole family will love. Garnish with parsley or some chives, if desired. 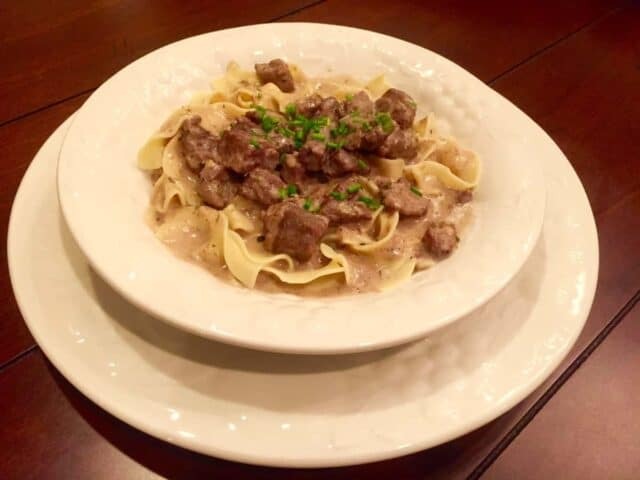 I hope you enjoyed our Beef Stroganoff Recipe as much as we do. Stay warm out there! Next Post: ABC’s Comedy Extravaganza, “GALAVANT,” premieres TODAY!